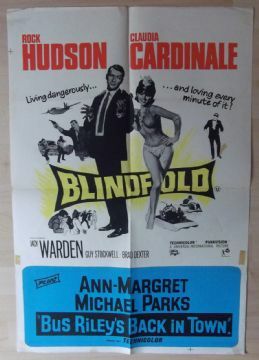 Original 1966 English Double Crown poster from the film ' Blindfold ' starring Rock Hudson and Claudia Cardinale. 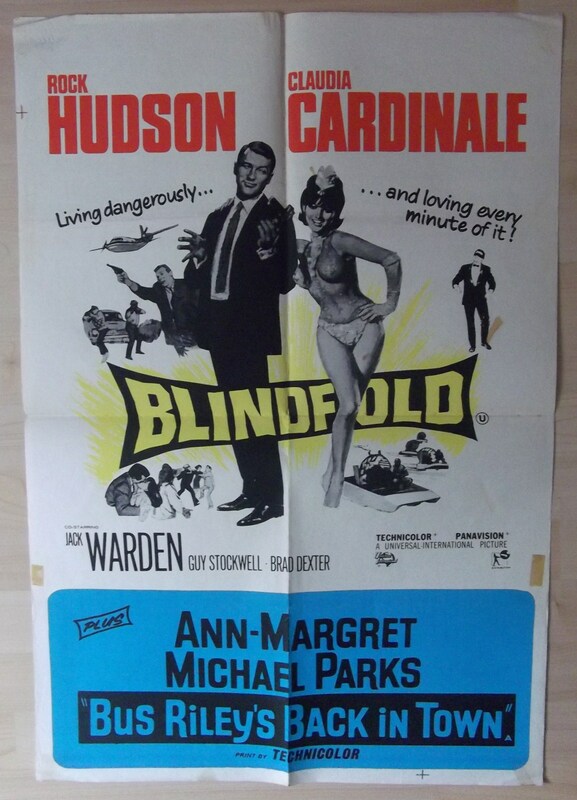 It also has an advertising promo on the bottom for 'Bus Riley's Back in Town ' starring Ann-Margret. This poster is in VG++++ condition and measures 30" x 20" with a really nice image.It has some tape residue.